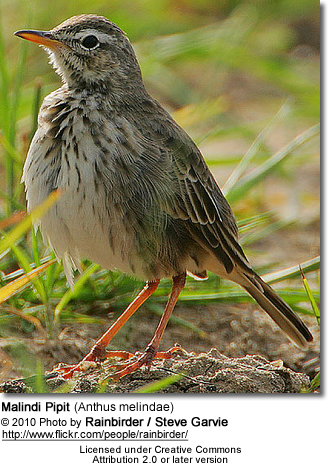 The Malindi Pipit (Anthus melindae) is an African pipit that is found in Kenya and Somalia. 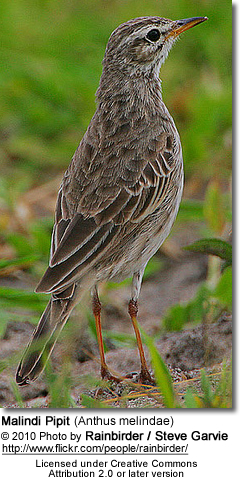 Its natural habitats are subtropical or tropical dry as well as seasonally wet or flooded lowland grassland. This species is threatened by habitat destruction.